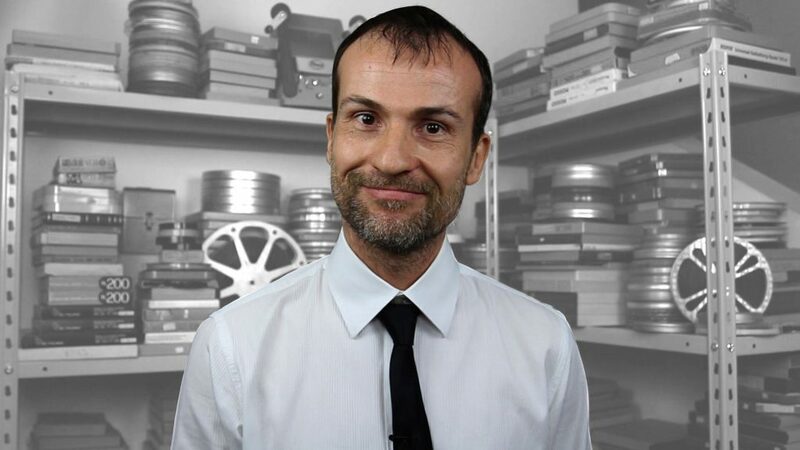 When I was 18 I wanted to become a director, but I've never been able to do it, so maybe there is something personal when I talk about cinema, and also about television, because when I was 30 years old I was a story editor for a TV show, and I'm quite sure things on television are not that different. This is one of the reasons why today it's impossible to start a new business in the cinema and television industry. The future is the internet, where people are selected only for their skills, because of competition. If a company hires the wrong person its competitors soon will take its market share. I mean giving the market what buyers are looking for and creating more content in less time. I will never complain about a rejection (please read my post about it), I will never think that other stock images selected by agencies are worse than mine, because there is always a reason why this happens, and that reason is business, not something else. As a producer, to make money you simply have to be better than competition. There's no agency that will favor a photographer or a video maker because his father is an important person or because another Weinstein will select him or her for other reasons. In a microstock agency, the only thing that rules is the algorithm, that is created with the only purpose of selling more: if a buyer write a query, agencies show a list of contents, ranking up stock images or stock footage only because the agency think that that content will have more chances to sell. Microstock industry launched 15 to 20 years ago with stock images, but the market changed in 2006, when stock footage went for sale. that today no longer exist or soon will go out of business. A part from these companies, there was a group of young start-ups who wanted to become rich, because microstock already at that time was a market that was worth billions and setting up a business to sell the content created by others did not require great investments. We saw your portfolio on Shutterstock. We're launching a new agency, why don't you send us your stock images and stock footage? Thank you for contacting me. If you want my content you have to pay me $3 for each video of mine you are going to select + the normal royalties for each sale. If you are as good as you say you are, your investment will pay off in a few months. Look at my Shutterstock statistics. At that point they disappeared, first from my mailbox and then from the web, because none of those projects has never survived more than a few months. Those start-ups were people who knew about computer science, probably they knew what microstock was, but they did not understand anything about business, since opening an agency that was exactly like Pond5 and Shutterstock was like opening an e-commerce just like Amazon. Why should a buyer buy from you and not from them? All you can download collection. Why should I risk to waste time uploading content to your agency, since I already do well elsewhere? Because we give you 100% commission on sales. You don't need to spend your time with keywording, because there is a way to transfer the information you have already entered on Pond5 in one second. starting with $3000 + future royalties was enough, even for me. And in a competitive world only the best people make money. hoping to become an important microstock agency and making money in the future. all those companies lost money for years and they are now the biggest companies in the world. All the people who understand how the modern world works will have a great life, the others will go on complaining about the world every single day. Today Videoblocks has millions of clips. It is the microstock Company with the greatest growth in history and, if Fotolia in 2014 was paid 800 million dollars by Adobe (please read my post about it) , I don't think they're worth less than that today. When I know something like this, I think about all those professional photographers who are losing customers every single day, and blame the world for going out of business. You can spend your days writing messages on Facebook. That is the easiest thing to do, but if you want to change your life you still can do it, but you need to change your mind first. Talking about editorial license, I wonder if it can really happen that someone will sue you if you publish a photo where that person is recognizable. 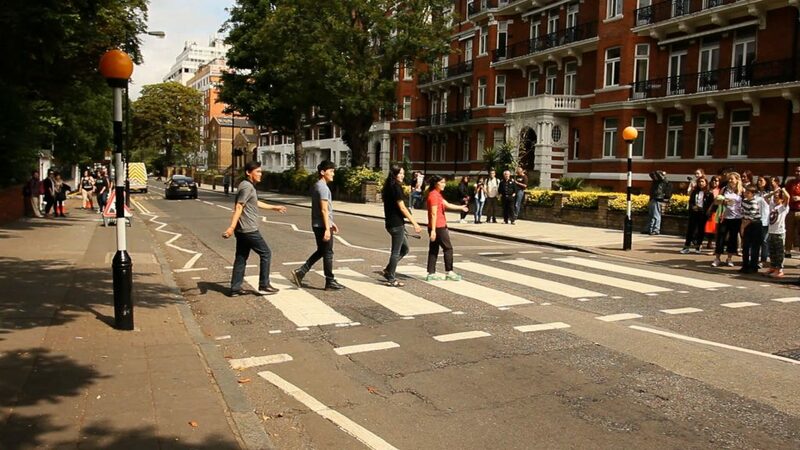 For example, in your course you show your footage shot in front of Abbey Road Studios in London. I think it's impossible to ask all the people you shot to sign a license. If it is true, it means that nobody can shoot that street, because it's always full of people. I'm not just talking about selling stock images, but also, for example, about shooting a documentary on those studios. I'm confused. Editorial and commercial use license concerns (please, read my post about it) are one of the most common topics for those who write me. If you shoot people and you're not sure if they can be considered as recognizable, I recommend you select the editorial license. You won't have a major negative impact on sales, but you will be safer from a legal standpoint. If you shoot someone in a public place, let's say it's a gray zone. You can do it because we live in a free world, but you also cannot do it because the Law protects the privacy of people. everywhere else, so, talking about microstock, you first need to set the editorial license. while you're shooting your footage or photos a man and a woman are there together. Let's say they are kissing, but they have different partners who don't know about that. Your stock footage or stock image will be bought by TV show, like a game show that gives away a weekend for two in London and needs to create a video to introduce the prize. I bet you have seen something like this hundreds of times. A partner of one of the two people kissing watches the video and asks for divorce. Can those two lovers sue you? Yes, they can sue you, and claim damages for the divorce, because when you shot Trafalgar Square there wasn't a demonstration or a public event. He just has to select the editorial license to avoid commercial use of that. That's it. I don't know what's going to happen, but I think the film maker won't have problems. Just think about Shutterstock guidelines on editorial license, it's funny, and I know it because a few years ago I shot my cat at home. 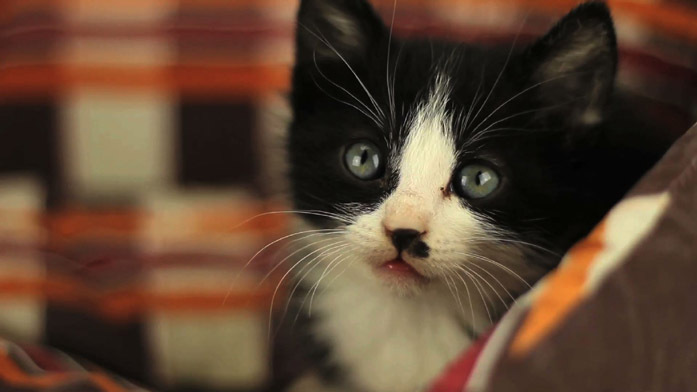 The cat was recognizable and to use my footage for commercial use Shutterstock first asked me to upload a document certifying that I was its owner. If you shoot a cat walking on the street it's the same situation. Assuming the commercial license doesn't generate more sales, I opted for selling the footage of my cat with the editorial license, to save time. For the editorial license content Shutterstock wants that the producer changes the description of the content, in a way that looks funny if the event is not the President of United States meeting the President of Russia, but a cat playing with a rope. Italy - April 7, 2018: black and white cat plays with a rope. Why does Shutterstok do that? Because if they are sued, the selection of the editorial license is a way to win the trial. Is a music soundtrack allowed in stock footage? No. I mean you can't change the audio of your clip with music. Simply because that won't be stock footage anymore, but another kind of video that can be sold somewhere else, not in microstocks. Can the duration of stock footage be more than 30 seconds? It depends on the agency guidelines. Clips on Shutterstock, Videoblocks and Pond5 can usually be up to 60 seconds long. Beware that most of the buyers search for clips of no more than 10 seconds, so when you shoot and you edit your video understand that 10 seconds is the perfect duration. And remember, time is money. When you're on a location, you need to be quick, and shooting a 10 second video is faster than shooting more seconds. How do I fill out the release form if a subject is portrayed in many of my stock images? Unfortunately the release must be filled for each photo, even if the subject is always the same. if you scan the signature and paste it on each document, changing only the part of the release where the clip name is shown, agencies won't mind. In Italy we say, they close one eye. I don't know how to say it in English. I am a pianist. Do you think that shooting my performance may be a subject requested by microstock buyers? piano and pianist are 2 good subjects. Pianist is even more profitable than Paris. Sorry, it sounds like comparing Leonardo Da Vinci with Andy Wahrol. If I wanted to shoot a Northern Lights time-lapse, what shutter speed should I use? According to several excellent online tutorials I found for you, I would say from 2 to 10 seconds, because with longer shutter speed you risk losing details. Please ask technical answers on photography and videomaking to other podcasts who are focused on those topics. I'm sure they are more professional than me (on that topic at least). When you create a time-lapse, do you use a reflex and shoot photos, or do you use a movie? Because I use a movie and tried to capture night videos. I raised the ISO and the final videos had too much noise. Do you have some camera brand you prefer? I use Sony and Canon, but many people told me that Fujifilm is the best brand. First of all my friend: you need a good camera and a good lens, but don't think that, for example, having a full frame camera will make you earn more money than having an APS-c sensor camera. If you buy a Fujifilm your income won't change. I used to suggest Nikon and Canon just because you can find more lenses for those brands (please read my post about it). 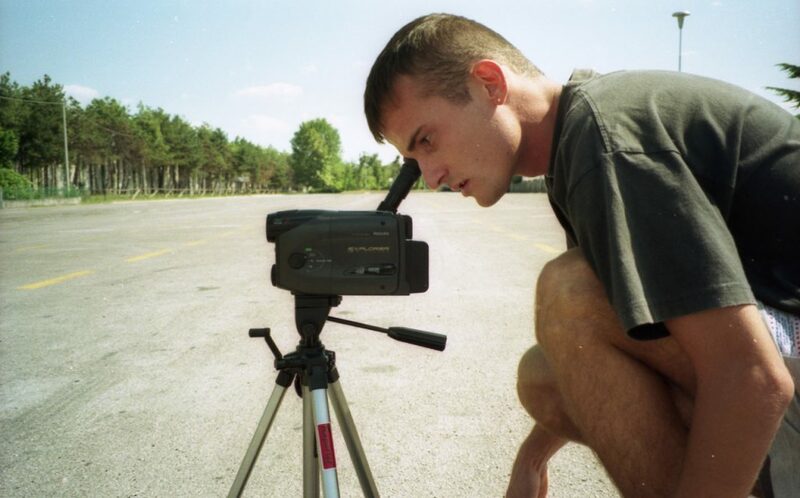 I started my short film director career back in 1995 when I was 18 years old, and the old school directors of that time always talked about the great equipment they had. Today, 1990s cameras that cost $50 thousand dollars compared with the iPhone video quality, are like playing games with the Atari compared to the PlayStation 4. So, times have changed like a great American singer said. Technology democratized the world, so if you want to start from a basic reflex camera, that can be enough for making time-lapses. Do you want to know a model? Get a Canon Eos 800d, or a Nikon, or a Panasonic that, spending around the same amount of money, usually also creates real time 4k (please read my post about it) videos. To create a time-lapse, I suggest you to take a photo sequence, so you can export at a 4k resolution, and have the chance to stabilize the sequence without losing quality. And you can also change the framing while editing, to make the subjects closer, or to correct the composition. If you use a movie you can't work with 100 ISO at night, because you can't set a slow shutter speed. The slowest shutter speed you can use will be 1/30th of a second. Well my friend, if you want to subscribe to my newsletter, one of the videos I send to those who subscribe is focused on how to create a state of the art time lapse. Please think about it. This has nothing to do with microstock, but I just want to quote a famous German movie, I still love today. Help me if you want my podcast to be ranked in the top 10 of Itunes in your country. In Italy I was there on the top, but only for one night, since I'm Italian and all my relatives and friends make fake reviews. No, it's not true, I'm joking. That's Italian humor from the Italian stallion. Please don't Google “Italian Stallion”. I should say that it's impossible to be in the top 10 of Itunes in the US, but I want to be the first in Slovenia, so this weekend I will be there with friends and family to vote for myself, as it is an hour and a half from my house. I would like to end the episode as usual, first by thanking you for listening and second reminding you that the greatest thing in life is not having fun but being happy.